Tempo Traveller Service in Patiala: 1313 taxi is serving its customers from past many years with its amazing taxi services especially Tempo Traveller Service in Patiala. 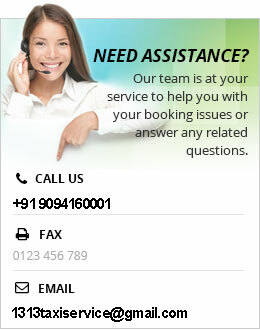 We are running successfully towards our motive to provide our visitors hassle-free taxi services. Tours and travels industry is widening its scope day by day because people around the world are now preferring tours to get rid of the busiest life for some time. Accordingly, we at 1313 taxi have a strong customer base with 100% satisfaction. Our quality taxi service in Patiala is tailored to fulfill your traveling needs in a comfortable way. If you are planning to go on an outing somewhere with your full family, then you have reached the right destination. 1313 taxi is committed to making your journey comfortable and enjoyable with our Tempo Traveller Service in Patiala. Because our tempo travellers are quite big in space similar to a minibus. They are available with more than 10 seats, attractive design, and outlook. Even you don’t need to worry about your luggage. Because there is separate space for the bags, boxes etc. in our vehicles. Now you can book your vehicle in a smarter way. No need to visit our office and do the bookings just from your home. Do it online by searching the common keywords like ‘Tempo Traveller Service in Patiala’, find our contact number and place your order. We will assist you immediately with the vehicle of your choice. Not only Patiala, we have occupied almost entire the state Punjab, Haryana and even Delhi. 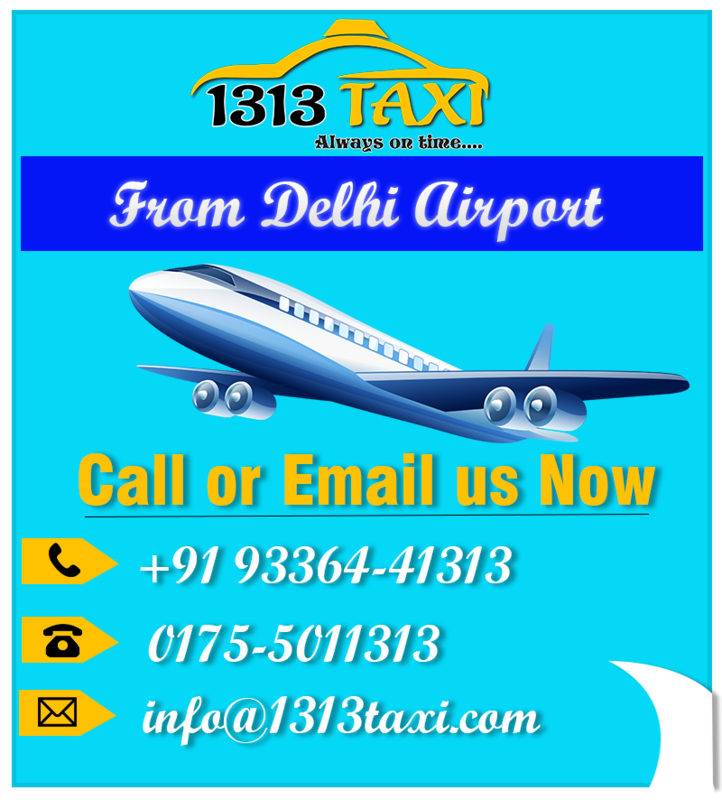 Because we have excellent taxi service in Ludhiana, taxi service in Chandigarh, cab service in Amritsar, cab service in Delhi and cab service in Jalandhar as well. Our experienced chauffeurs and other staff members never make our customers wait for us. Because we have a quick and affordable home pick and drop taxi service. So if you still have any query, feel free to ask us. Your feedback holds great value for us. It will really be helpful to make our services better, comfortable and convenient.